It’s really worth a visit, for surprises await you.....! The authentic cooking and range of flavours at this restaurant promise mouthwatering treats. 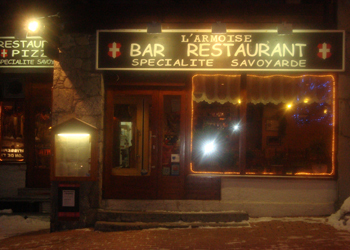 This restaurant is managed by Fred, the chef and owner, and it’s located right in the centre of Tignes Val Claret, under the medical centre. Comfortably installed in the room near the bar, enjoy the many specialties that show respect that this restaurant has quality and local products. 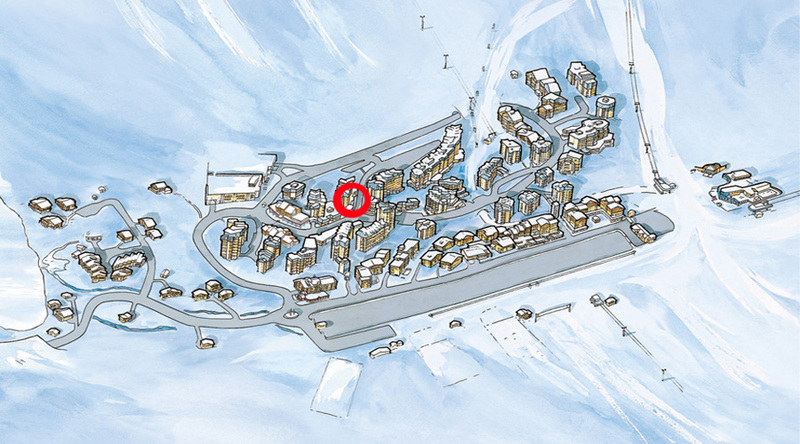 Through the large windows, the light of Val-Claret your breath, or you will watch the snow fall on the village. 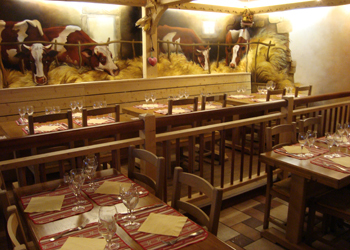 Decoration, unique in Tignes, reproduces the warm and soothing of old farms. The kitchen, which borrows from different terroirs its best products, will delight your taste buds and pupils of children and adults. You must not under any circumstances miss this appointment. The beautiful murals amaze you and delight you! In a "mountain" room that invites you to travel, elegant tarine beautifully painted on all the walls. They will accompany your tasting. From the entrance, near the bar, Françoise welcomes you with great thoughtfulness. 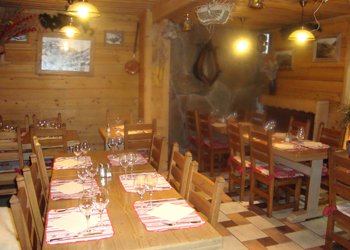 It will offer you the opportunity to sit in one of two main rooms, each warmly decorated and flowered by him. - Open summer - winter. - Cuisine based on local produce.